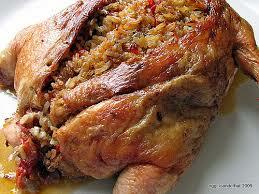 Last year I blogged (boasted) about my top rated stuffing for the Christmas poultry. It gets better every year; with slight improvements and a variation of flavour. This year I was determined to use dried figs and fennel seeds; instead of the usual dried Aussie apricots. One large bowl. Work out how much stuffing you need. Buy white sour dough bread a few days in advance; it can't be fresh. Slice each end off the bread loaf and put aside; about 2-3cm thick. Cut thick slices, 3-4cm thick and trim crusts from bread. Discard the crusts. Crumble the bread by hand; not too small and not too big. Mince 1-2 cloves of garlic if you wish. Finely slice and dice 1 onion. That magnificent Morton Bay Fig tree at Goodwood Oval has suffered limb loss. Unley Council's arborist has assessed that the tree is in good health and will survive. Further technical examination will occur in a week, just to be sure. This is a magnificent tree. Most of us have enjoyed a picnic under the tree; sheltered from the sun; perhaps whilst watching the cricket. My best ever Christmas present this year was a plant. It's a Climbing Spinach (Basella Rubra) that climbs 2 metres. Edible climber with succulent red stems and green foliage. High vitamin and iron content. Suited for salads, stew and stir fries. Maturity 10-12 weeks. Pick as needed. I've planted it next to a 2m stake and already it is heading up the pole. Also a bonus - it will have nice pink flowers. A simple gift that will give me much pleasure. A speciality of mine at Christmas is Thyme Walnuts. Preheat oven to 200C. Toss walnuts, oil, thyme and salt on a rimmed baking sheet until salt and thyme are evenly distributed. Bake until walnuts are golden brown and fragrant, 10–15 minutes. Toss (turn) walnuts after 7 minutes.Store in an airtight container at room temperature. Eat whilst they are fresh and crisp. South Australia's elite judging panel has rated the Christmas (fruit) Mince Pies at the Black Forest Village Baker as the best in the State. Good lookPastry bottom rawNice chunkyBoozy fillingPastry meltsPlenty of fillingFine short shellNot too sweetLove the apple and zestLooks handmadePastry is crumbly The price is $1.80 each for a six pack. I visited the bakery and did the taste test. Almost as good as my Nana made. The crust is deep and nice and crumbly - as it should be. Orders have gone through the roof. Do yourself a favour and pop in and buy a dozen. Good news about Origin Energy partnering with solar power company Natural Solar and reselling Tesla Energy’s Powerwall to the Australian market. This is a state-of-the-art Li-Ion battery system that will provide electricity off the grid and be available in case of a mains power outage. It's time I started thinking about a solar system. For a gift that is out of this world why not consider a parcel of land on Mars. Just $19 for 1 acre of land on Mars. Over 1,000 sold already, or so they say. The fine print says a novel gift for entertainment purposes only. In other words you get nothing other than a useless deed and some freely available information about space travel from NASA. Step 1 – Combine dry ingredients in a large bowl. Step 2 – Combine wet ingredients in a small bowl. Stir the wet into the dry ingredients. Step 4 – Roll dough out between two sheets of baking paper to a thickness of about 3mm. Step 5 – Cut out with Christmas – shaped cookie cutters and lift with a palette knife onto lined baking trays. Step 6 – Bake for 10 minutes or until golden brown. Remove from the oven and cool on a wire rack. Biscuits must be completely cool before icing. Decorate if you wish, but I enjoy them just plain. It's Christmas present buying season and people are buying more online these days. But, be warned - the online scammers at hard at it. Be vigilant in your online purchases. Scamwatch is warning Christmas shoppers to be cautious when looking online for gifts. During and after Christmas Scamwatch experiences an increase in reports of fake online sellers looking to cash in on the festive season shopping spree. This year, scammers are using labels like Pandora and Michael Kors to trick consumers who are looking online to find designer items at a cheaper price. Scammers set up fake websites that look just like genuine online stores. They copy websites of legitimate companies and designer labels and may even pretend to be Australian-based by using a ‘.com.au’ domain. There's nothing more irritating that spraying the legs and arms with mozzie repellent and after a few hours getting bitten. It takes the fun out of the outdoors activity. Mozzie expert, entomologist Dr Cameron Webb has released his Australian research. He points out that some repellents are more effective than others. The most effective contain the chemicals diethyltoluamide or picaridin. These provide the longest protection. The least effective contain plant extracts like citronella or tea tee oil. These need to be applied more frequently. Also, his research shows that mosquitoes are attracted to people drinking beer or wearing sweet floral perfume. This probably accounts for why beer drinking women seem to get bitten more. There is much confusion about the new law allowing cyclists to ride on footpaths. Here is a link to some questions and answers that help to clarify the matter. Now, it's up to the cyclists to do the right thing. It needs to be remembered that pedestrians have absolute right of way. Investing a small (extra) amount each week in Super yields a high reward later in life. An example is by a abstaining from one glass of wine (or 2-3 coffees) each week will over 35 years add $50,000 to your Super account. Imagine if you gave up a little bit of all our extras in life. Then again it relies on the discipline of making a regular extra contribution to Super. It’s a sobering thought that skipping just one glass of wine per week could add almost $50,000 to your retirement fund balance over the long term. The Association of Superannuation Funds of Australia (ASFA) has calculated that if the cost of a glass of wine (an average of $10) was channelled back into a superannuation savings account as a regular, after-tax monthly contribution over a 35-year period, this would add an extra $48,033 to your retirement cash pile. If you don't subscribe to Milkwood, and you have an interest in gardening, then you should. There's always lots of useful information. Climbing beans and climbing peas need a different type of trellis. Beans just need a vertical pole or wire whereas peas have side tendrils and need a different support, both vertical and sideways. Li-Fi is an emerging technology, a new form of wireless technology that transmits data up to 100 times faster than conventional Wi-Fi. It may revolutionise the way in which we transmit data on a smartphone, tablet or computer. It is wireless technology that uses flickering LED lights to transmit up to 1 gigabit per second; much faster than current Wi-Fi data speeds which average around 11 megabits per second. One of my favourite snacks is rustic olive oil crackers. Goes well with dips and festive cheer. Just 4 ingredients; flour, olive oil, water and salt. Easy to make and 11 minutes baking time. Add seeds and extras if you wish eg. sesame seeds, caraway seeds, poppy seeds, grated parmesan, black pepper, thyme, rosemary, and extra salt. Tip: why not make an extra batch and give some away as a gift.